Moving day can be made more stressful by the not-so-simple matter of knowing you have to clean a place that may have been lived in for years. There’s a lot riding on your ability to clean your home. Many properties will not refund your deposit if they have to do any cleaning or repairs. But do you need professional help to get your deposit back? Use this helpful guideline from www.Apartments.com! The amount of cleaning that needs to be done is important to address, sooner rather than later. If you've allowed gunk to build up over time, a more extensive cleaning will be required. This will obviously take up more time, but the outcome is rewarding. The amount of space should also be considered. If you're moving out of a large rental unit, expect to do a lot of cleaning. Do the costs associated with a maid satisfy your needs? Are there significant advantages to hiring a maid rather than cleaning yourself. Once you have the costs figured out, you’ll have to decide whether a maid is worth the added expense. Ultimately, this depends on how you feel about doing the work yourself. Ask yourself if you feel confident about your cleaning abilities or if you rather focus on other aspects of the move. In the end, a maid service can really do some good and relieve some stress. If you crunch numbers and decide that it is right for you, follow the advice below. Estimates can help you save. And, if you rather hire someone to do the chores than do them yourself, a maid is a great option. The most important cost factor will be the size of your residence, as in how many square feet it has or number of rooms. Move in/out cleaning (without furniture) | $0.10 per sq. ft.
• Carpet cleaning (including stairs) | $0.20 per sq. ft. This Quote Assumes The Following Will Be Provided By The Client: Reasonable accommodations for access to the areas to be cleaned at times to be mutually agreed upon Water for cleaning, electricity for cleaning equipment, and a designated area to dispose of trash. If our conditions are not met and we have to make return trips to your location as a result, a service fee of $50 will be applied for each trip For the safety and security of our client and our personnel we cannot be responsible for moving furniture or other personal belongings. 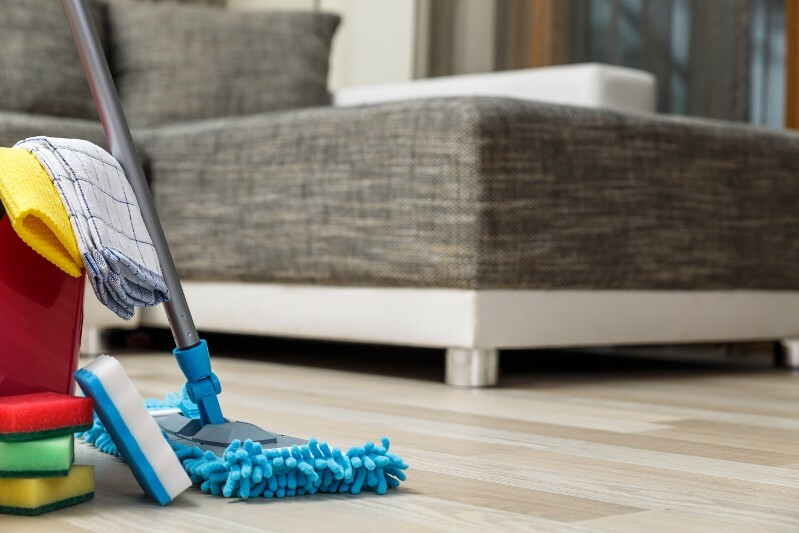 Any areas to be cleaned containing these items will be done to the extent possible without moving items All quotes given by phone or email assume conditions based on information provided by the client. If conditions on site are different than the information provided, the estimate may need to be revised. If revised, a copy will be provided to the client. Horizontal and Vertical Surfaces - Stainless steel, granite, wood, and other surface material will be cleaned with a surface-appropriate cleaner. Wood and stainless steel surfaces will be polished after cleaning. We will not move personal items. We will not move personal items. 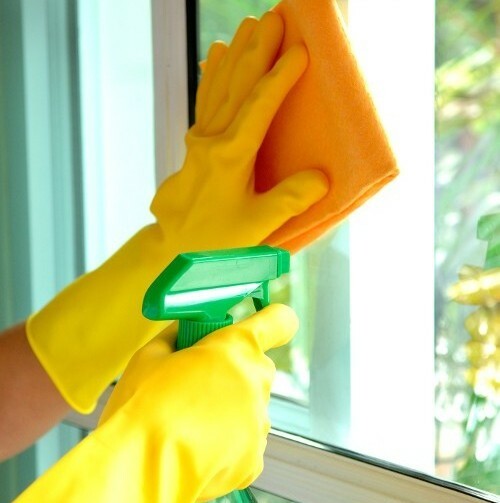 Kitchen and Bathroom Surfaces - These will be cleaned and disinfected. Additional charge for exceptionally stained, mildewed, or corroded surfaces may apply. We use disposable toilet wand attachments for interior toilet boil cleaning. Toilet stools will be cleaned externally (all surfaces) including the base and the surrounding flooring (even the area between the stool and the wall). Mirrors will be cleaned (streak and spot free). Shower and bathtub surfaces will be scrubbed and all soap residues will be removed. Particular attention will be applied to shower doors and sliding tracks, shower heads, fixtures and handles, and drains for tubs and sinks. We will not move personal items. Wood Furniture - All wood furniture will be dusted and polished. Baseboards - All baseboards will be dusted and wiped down upon request. Flooring - Rubber, tile, and wood flooring will be swept and cleaned with the appropriate cleaning agent. Carpet will be vacuumed. Window cleaning estimate is based on typical 3' x 6' double hung glass windows without the external pane separators that are on ground level and easily accessible or that can be accessed from inside a home. This applies to all glass doors as well. Interferences and larger windows or doors are subject to a price adjustment that will be quoted in advance. Carpet Cleaning - Carpet cleaning requires a minimum of 500 sq. ft. per cleaning unless we are moving you or are providing other cleaning services. Exceptionally soiled or stained carpeting may subject to a minimal upcharge which would be discussed with the client in advance. Reach out to us today for more information and scheduling availabilities.